There is a product on the market now that uses an Omic Array to heat the water, I like to think of it like microwaving the water to heat it more efficiently than a resistive coil. 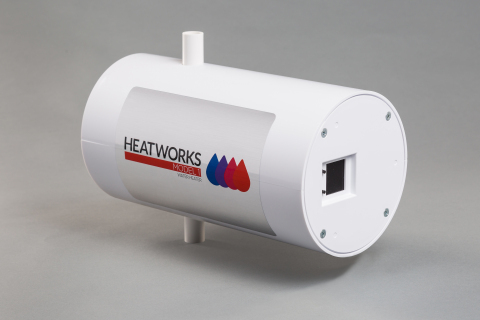 Check out HeatWorks, the Model 1 that they used to make may be perfect for an RV. Still, if you want a realistic shower on-demand you may wanna look into putting a second power plug on the outside of the RV for 220V so you can run a dedicated wire from the park pedestal 50 amp plug to the water heater. Use the 30 amp plug for everything else. Most places offer both. According to the chart that I posted above one would be limited to the ECO 8. Not too much flow rating there at the cooler temps. The GPM and temp rise is assumming out flow at 105*F. This would be very problematic up north and in the mountains. Electric coil with a storage tank seems to be the way to go. That is a very nice water heater. I had to dig a bit to find it as the basic Bosch Tronic 3000 is a tankless water heater. You are using a Bosch Tronic 3000T Mini-Tank Series ES4. About half the cost of a typical RV water heater. Thanks for info..do you think since it’s only 4 gal., it could be heated up w/ 30 amp connection? It looks like it will fit in the space where my current hot water tank is. I don’t have to have “on demand”..just hot water w/o using propane.. I never have liked/used the propane in my RV...thought I read somewhere about a way to replace the tank with an (on-demand?) electric hot water heater..I have measured the space, have a picture of current hot water tank (can’t figure out how to attach .would love to just take out/off the propane tank..Welcoming ideas..thoughts.. In my virtual build-it-yourself van, I looked into the feasibility of using electrically heated water. You can buy an ordinary small 120v under-counter heater and swap out the high wattage 120 volt element for a low wattage 12 volt element. Here are links to those items. 200 watts is enough to heat up 2.5 gallons in under 3 hours (see math below). By switching out the 120v heating element, you won't need to have your inverter running to get hot water. Besides, the 120v elements draw too much power. They seemed designed to provide almost instant hot water. The standard alternator on a Promaster van puts out 180 amps, which is over 2000 watts. If you upgrade to lithium batteries in your coach you should be able to keep that water plenty hot. Just don't take any baths, or expect to do dishes and take a shower. Doing the math: Assuming you heat water from 50 degrees to 130 degrees, that is an 80 degree rise. Each gallon of water requires 8.4 BTU to raise the temperature 1 degree F. So to raise 2.5 gallons 80 degrees requires about 1700 BTU. Since each watt-hour is equivalent to 3.4 BTU, you will need 500 watt-hours to heat up a 2.5 gallon tank 80 degrees. A 200 watt heating element should do this in about 3 hours (assuming some losses). There are 12 volt marine water heaters, but those require high wattage, are rather expensive, and meet strict regulations. For some reason RVs are relatively unregulated, which allows us to build our own without oversight. Hope this posting helps. Thanks everyone for all responses, I will need to find someone who understands all that has been discussed and help me make a plan..I am currently in Austin, TX until May, so if anyone has someone in that area who might help w/ a plan, feel free to message me.. If you have space for a Truma Combi you might look at that as it also provides nice hot air heat eliminating a separate furnace. The hot water tank is just over 2.5 gallons. I have this in my Galleria Class B. Hot water on demand and it also doubles as a furnace that heats the air. Works great and uses Electric, Propane, or a combination of both. You have the flexibility to operate the Combi most efficiently depending on your circumstance. At a rest stop on propane, or in a campground hooked up to electricity. Not sure why you would eliminate the use of propane if you already have it. I installed a HOTROD 110v heating element that takes the place of the anode rod. I could not stand hearing the LPG heat going off every 1/2 hour when camping in the cold. This works great!